CANINE PLUS canine multiple is a remarkably effective and palatable, chewable supplement for dogs of all ages, sizes, and breeds. 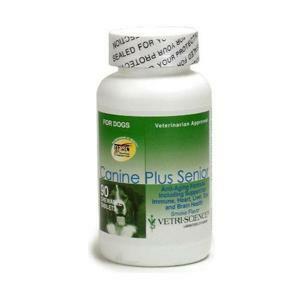 CANINE PLUS incorporates a delicate balance of vitamins, minerals, and enzymes to enhance the physical and mental well-being of your dog. This product contains sources of Pepsin, Bromelain and Protease (hydrolyze protein) and Lipase (hydrolyzes triglycerides).